This is very well described and I can feel the desert air and hear the deafening silence. I have shared similar feelings in remote locations and have been drawn to wonder and accept the enormity of what I can perceive. Thanks for the inspirational writing. Hi Kern, It is good to get away and be naturally inspired. It makes me realize why people choose to live simply in remote areas. It really fills the soul. Thank you. Thank you. I have upgraded my camera a bit this year but still …. There is always more to learn. Your blog is filling me with memories of Jordan. thank you. One I didn’t share was the nice warm bed. 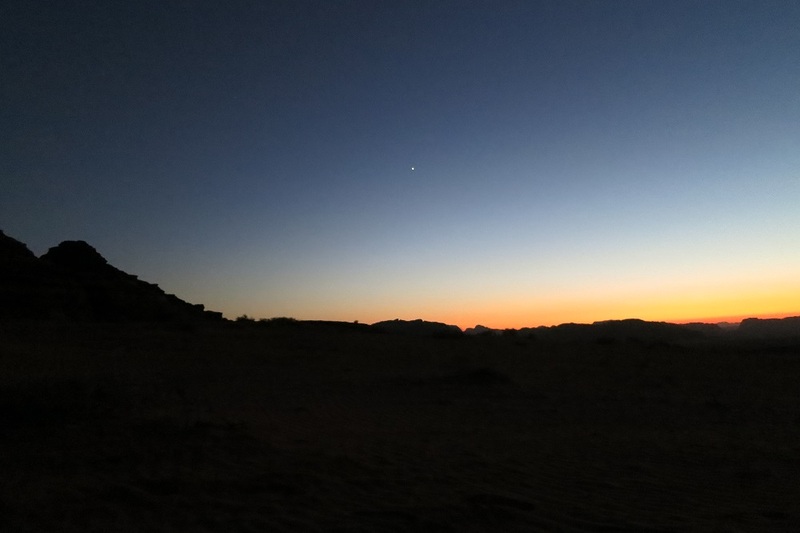 both times I went to Wadi Rum, it was FREEZING at night. I slept as close to the campfire as I could without being set alight! but you are so right about the silence and the stars. So beautiful. thank you for reminding me. Lovely story, oh the serenity. Wadi Rum impressed us most of all the places that we saw in Jordan, the vastness and the ‘big space’ of which you write you brought it all back although alas, we could only imagine thee night sky. It is such a pity the children in Bahrain cannot experience such a beautiful site. We have to take ourselves too far way to experience what our ancestors took for granted. Thank you Winfred for commenting. At least you got to be there.